Sixways Stadium hosted a fantastic evening with Ireland and British & Irish Lions legend Donncha O’Callaghan on Thursday, sponsored by EBC Group. 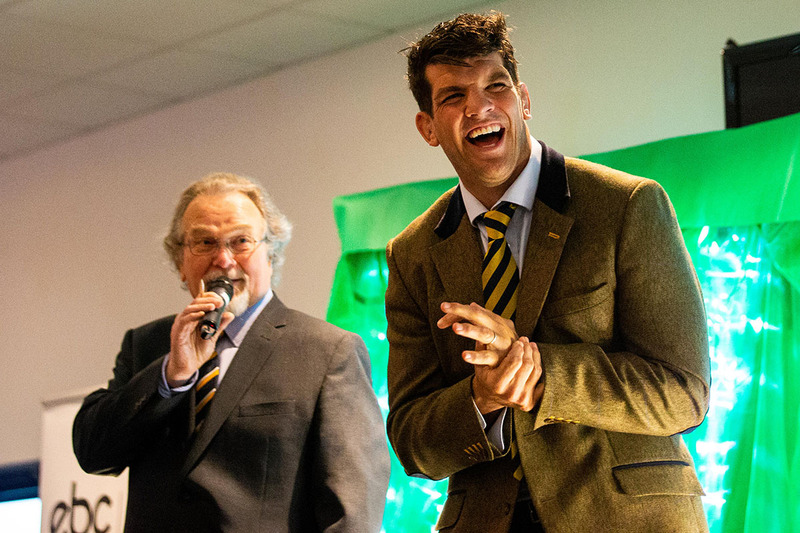 The Warriors lock was in fine form as he entertained the 277 guests on a brilliant farewell for the Sixways star. 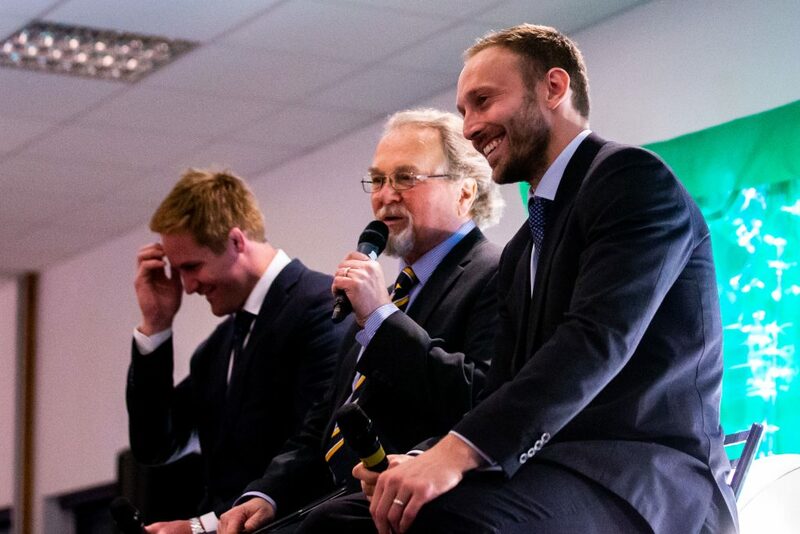 Along with host Dave Bradley, O’Callaghan had the crowd in stitches with his tales from the past 20 years while his current teammates GJ van Velze and Chris Pennell shared a few stories about their Club captain. 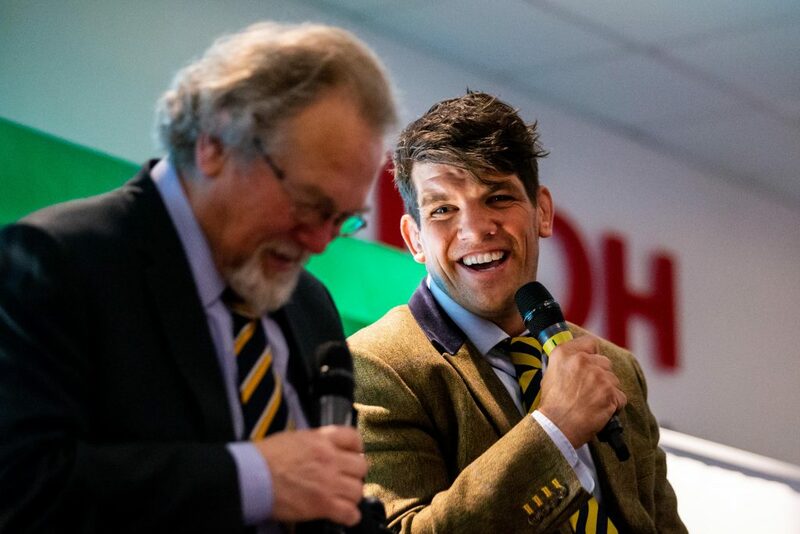 The evening also saw many Donncha O’Callaghan items up for auction, with five cardboard cut-outs of the big lock fetching £300 apiece, and a signed Worcester Warriors Donncha O’Callaghan shirt also raising £3,000. The auction helped to raise £8,500 on the night, with all the money going to UNICEF, the charity for which O’Callaghan is an ambassador. EBC Group also created fan, staff and family tribute videos to surprise O’Callaghan on the night, in an emotional send-off for the Irishman. EBC Group Managing Director Richard Lane said: “Donncha was in top form. He didn’t just have the crowd smiling from start to finish but received a huge standing ovation as everyone recognised a true great of the game. If you’d like to book an event at Sixways Stadium, email events@warriors.co.uk.